It’s Follow-Up Friday: Rapid Rubik edition! Obviously the most famous twisty puzzle of all time is the Rubik’s Cube. It’s one of the most recognizable puzzles in the world, and there are entire tournaments dedicated to speed-solving those signature cubes. As you may recall, I’ve written about Rubik’s Cube world records before, but you’ve never seen a solve like this. Collin Burns set a new world record for speed-solving a 3×3 Rubik’s Cube. His solve was so fast that he could’ve solved a dozen Rubik’s Cubes or more in the time it’s taken you to read this far. Check it out! Collin’s solve took 5.253 seconds, shattering the previous record of 5.55 seconds. Absolutely mind-blowing. I wonder if Erno Rubik had any idea his eponymous cubes would’ve inspired something like this. 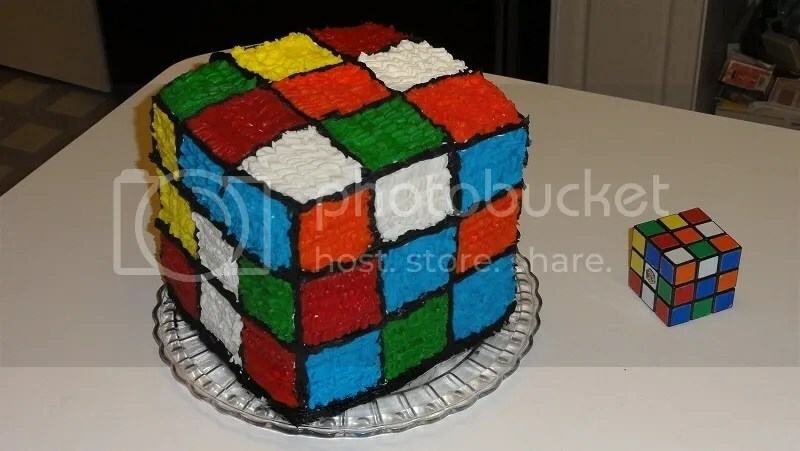 This entry was posted in Games, PuzzleNation, Puzzles and tagged Collin Burns, Erno Rubik, Follow-Up Friday, games, Geeking Out, Pop culture, PuzzleNation, Puzzlin' fool, rubik's cube, twisty puzzle, world record by gmdirect. Bookmark the permalink.